By Randall FranksThe Share America Foundation, Inc. announced its first 2011 scholarship winner recently at its Sacred Sounds Fridays concert featuring the Watkins Family and Mountain Cove Bluegrass Band at the Ringgold Depot in Ringgold, Ga. 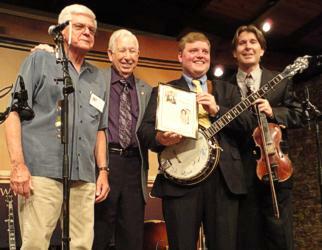 The scholarships honor students excelling in the Appalachian musical arts. The scholarship was awarded to Cody Harvey, 18, of Signal Mountain, Tennessee who graduated from Signal Mountain High School and plans to attend University of Tennessee at Chattanooga. Nashville, TN -- Mountain Music Entertainment proudly announces exclusive management and booking representation of acoustic music brother duo, The Crowe Brothers. 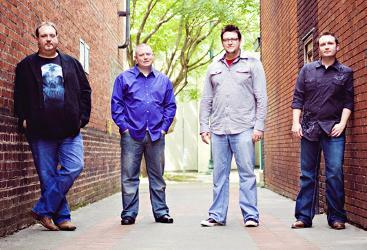 Mountain Music Entertainment will provide exclusive representation for The Crowe Brothers effective as of 1 July 2011. 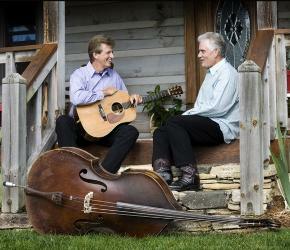 The Crowe Brothers are based in Western North Carolina near the eclectic music scene of Asheville, North Carolina. 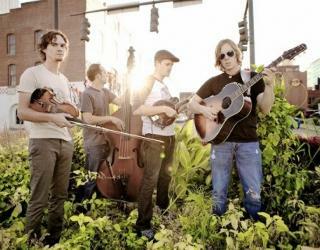 The band has a raw and exciting acoustic sound that appeals to a wide range of audiences from Americana to Roots Country. C.W. Mundy will soon be celebrating the August 2nd release of his Moon Surf Records debut recording, Road Trip, an eclectic mix of original banjo-driven tunes with the acclaimed fine arts painter at the wheel. To whet the appetite of current and future fans of the artiste, four songs will be made available to radio this Monday, July 18th, via Airplay Direct. 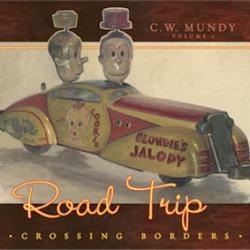 Two instrumentals and two featuring the lead vocals of Alice Vestal, the tunes serve as a representative cross-section for all sixteen tracks on Mundy's project. Rural Rhythm Records is proud to announce Blue Moon Rising's single, "Time To Be Movin’ On," from their hit album, Strange New World is topping the charts again. The song hit #1 last month on Bluegrass Music Profiles Top 30 Hot Singles chart, and moves up to #5 this month on Bluegrass Unlimited Magazine’s (BU) Top 30 Songs. The album jumped up another notch this month on the BU Top 15 Album chart. 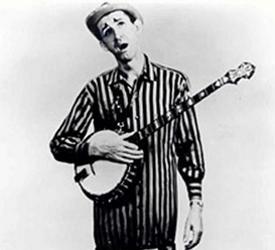 This is not the first #1 for the band as they reached that top spot numerous times on the Roots Music Report Top 50 Bluegrass Albums and also on Sirius XM Radio’s Bluegrass Junction Top 40 Songs. 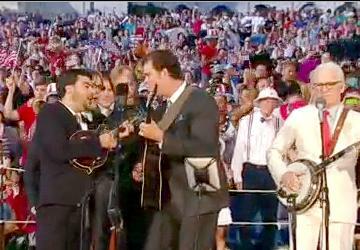 Nashville, TN --- On October 28th, The Schermerhorn Symphony Center will host the 17th Annual Inspirational Country Music Awards, and taking the stage will be some of today's most beloved Inspirational Country artists including Lee Greenwood, Joey & Rory, and returning 'ICM Faith, Family & Country Award' winners Ricky Skaggs and The Roys. Sperryville, VA -- If you are driving through the Blue Ridge Mountains of Virginia in mid August, don't be surprised if you see scores of 'General Lees,' the orange 1969 Dodge Charger which has become the most recognizable car in the world. 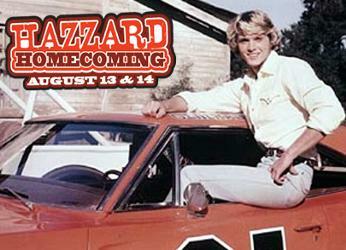 And don't be surprised if you see a gal that looks like Daisy Duke, because Catherine Bach, who played Daisy in the hit TV series Dukes of Hazzard, will be there among the several thousand fans gathering for the First Annual 'Hazzard Homecoming' in Sperryville, Virginia. 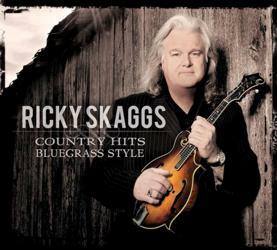 Nashville, TN (July 13, 2011) - Musical legend Ricky Skaggs' newest CD, Country Hits Bluegrass Style (Skaggs Family Records), will be in stores Tuesday, July 19. The 14-song release is a mix between Skaggs' country and bluegrass roots, something he has been sharing with fans around the country during his current Treasure Chest Tour. Nashville, TN -- The Grand Ole Opry presented by Humana will honor one of its longest tenured members, Bill Anderson, on his 50th anniversary as an Opry member on Sat., July 16, 7:00 p.m. The Country Music Hall of Fame member made his Opry debut just a few weeks before his 21st birthday and became a member less than three years later. Darin & Brooke Aldridge are excited to be releasing their new CD on Crossroads Music, So Much In Between, on August 16th. 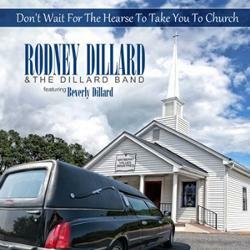 In fact...they will celebrate with a special CD release event on July 30th in Shelby, North Carolina at the Cleveland County Fairgrounds that will be open to the public. Joining Darin and Brooke will be their new friends from Sundrop and Choice USA. The party starts at 6:30pm EST and will feature a performance by Darin & Brooke, a meet and greet, refreshments and the opportunity to purchase the new CD before it is even available in stores or on radio.